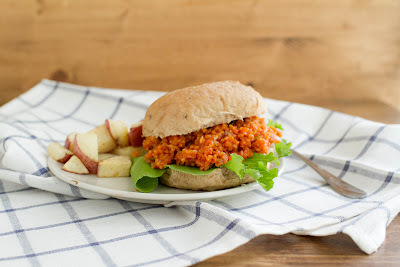 Sloppy Joes (vegan) | Naturally. When I turned vegetarian, there were items that are a staple in some vegetarian diets that I didn’t want to eat. I stayed away from textured vegetable protein and after you grow up around soy beans, tofu is not that appealing. I geared my diet towards using vegetables and grains as staples. My bulgar chili was my first trial run with vegan dishes that still had some texture to it. I loved the chili and soon realized how much I loved using bulgar as a replacement for meat. 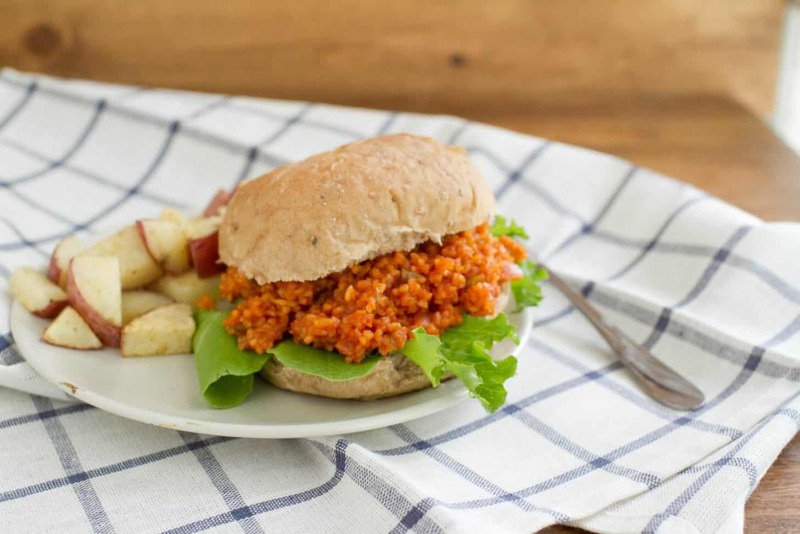 When cooked, bulgar keeps a firmer texture and doesn’t get too soft. I find that the texture of bulgar is perfect for sloppy joes and soaks up the flavors that are added to the mix. I love this recipe- after a few years of working with more vegetables and grains, I realize that the vegetarian/vegan possibilities are endless! Have a good weekend everyone! I am on the last day of band camp today! In a large pan, heat olive oil over medium heat. Add the onions and peppers to the pan, cooking until the onions become slightly translucent. Stir in the minced garlic and continue to cook for 1-2 minutes more. Grab a bun, dish on top, and serve with some tasty homemade french fries! This also is great for leftovers! I’ve never tried this one. The chilli bulgar sounds like an exploding appetite. I will certainly prepare my own version. AMAZING! These are so delicious! I I was thinking of adding lots of cheese to this and change a few ingredients to make veg. queso! That would be delicious! I may have to try that! Thank you so much for posting this!! I have tried a number of vegetarian sloppy joe recipes over the years, but they always come out tasting more like chili than sloppy joes and the texture is usually all wrong. I’ve often thought that bulger would be a good substitute for the texture, but I’m not good at creating a “from scratch” recipe of my own. I tried your recipe last week and it was SO good! My husband (a meat eater) loved them, too. The texture was perfect and they tasted great! Nice work! 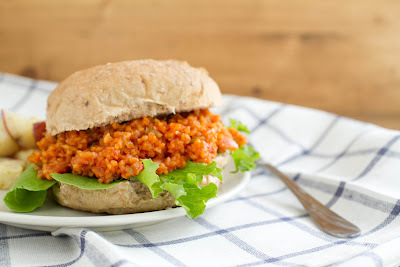 I stumbled onto your blog after searching for vegetarian sloppy joes, and was intrigued by how you used bulgar. Never having used it before, I gave your recipe a try. It was delicious! My fiance and I loved it! Can’t wait to try some of your other recipes, too! I’m glad you liked them! I really love using bulgar as a meat sub in some dishes! I haven’t made sloppy joes since turning veggie/vegan and I saw a recent recipe that interested me. I, too, found your post by searching for sloppy joes and would love to use it, as I’ve also never used bulgar before! These were amazing!!! Thank you so much for sharing.